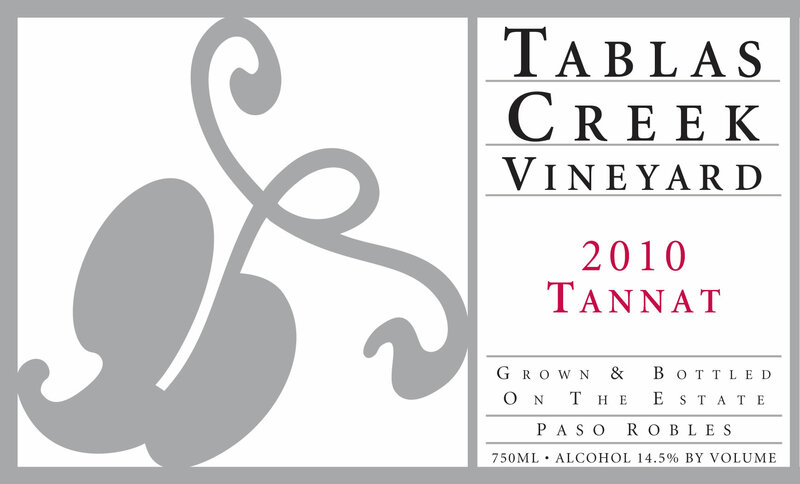 The 2010 Tablas Creek Vineyard Tannat is Tablas Creek’s ninth bottling of this traditional varietal from South-West France, known principally in the Pyrenees foothills appellation of Madiran, but originally native to the Basque region. The Tannat grape has intense fruit, spice, and tannins that produce wines capable of long aging, and it is traditionally blended with Cabernet Sauvignon or Cabernet Franc. The 2010 Tannat is a vibrant red-black in color, with plush, polished black raspberry, smoked meat and laquered wood on the nose. The flavors that follow are surprisingly pretty, pure and seamless for a Tannat this young, before a wash of tannins reassert control. The lingering finish vibrates between sweet fruit and dusty, loamy earth. Drink this now or cellar for a decade or more. The 2010 vintage saw healthy rainfall after three years of drought. The ample early-season groundwater and a lack of spring frosts produced a good fruit set. A very cool summer delayed ripening by roughly three weeks, with harvest not beginning until mid-September and still less than half complete in mid-October. Warm, sunny weather between mid-October and mid-November allowed the later-ripening varieties to reach full maturity. The long hangtime and cool temperatures combined to produce fruit with intense flavors and dark color at low alcohol levels. Our Tannat was harvested between October 14th and 18th. The Tannat grapes were destemmed and fermented using native yeasts. The wine was then moved to small barrels where it was aged for 18 months. The wine was bottled in May of 2011. While in many vinages we blend in our small production of Cabernet Sauvignon with our Tannat, in 2010 we were so taken with the Cabernet, and so pleased with the Tannat's balance, that we bottled each separately.